It is an academic and research department that works towards improving knowledge related to different fields of geography. 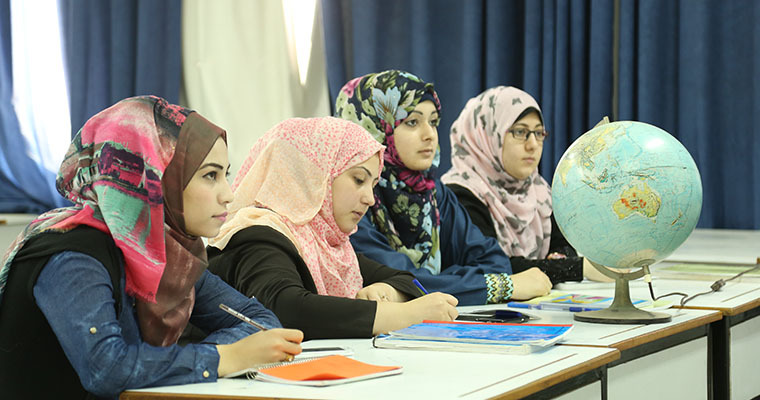 The department provides students with the best education since it is based on scientific and practical preparation of graduates that would enable them to have a professional career. The department provides a four-year route to a bachelor's degree in Geography/ minor Planning or General Geography. The department aspires to develop its academic and research levels to keep up with the academic rapid development. The Department of Geography seeks to raise the level of its academic and research to keep up with scientific development and to achieve an advanced position locally and regionally. The Department of Geography provides its students with advanced methods of scientific research. It also communicates with Palestinian institutions to fulfill the Palestinian society needs. To create distinguished academic and research programs. To implement modern technologies in research and education. To provide a suitable educational and research environment. To prepare experts in geographic sciences. To bring the best academic staff, students and researchers.